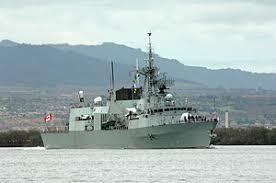 HMCS Ottawa is a Royal Canadian Navy Halifax-class frigate. 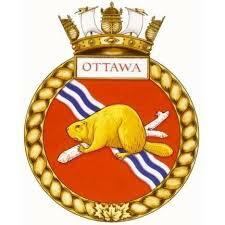 Ottawa is the twelfth and final ship of the Halifax class that were built as part of the Canadian Patrol Frigate Project. 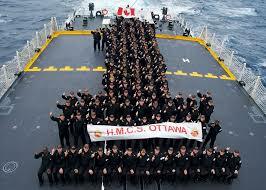 She is the fourth vessel to carry the designation HMCS Ottawa. 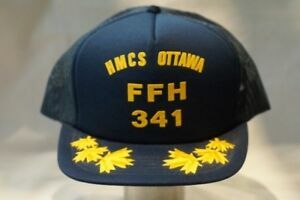 The Halifax Class frigate Ottawa was launched in Saint John, New Brunswick, on May 31, 1996, and was commissioned in Cornwall, Ontario, on September 28, 1996. She transferred to Esquimalt, British Columbia, in late 1996. 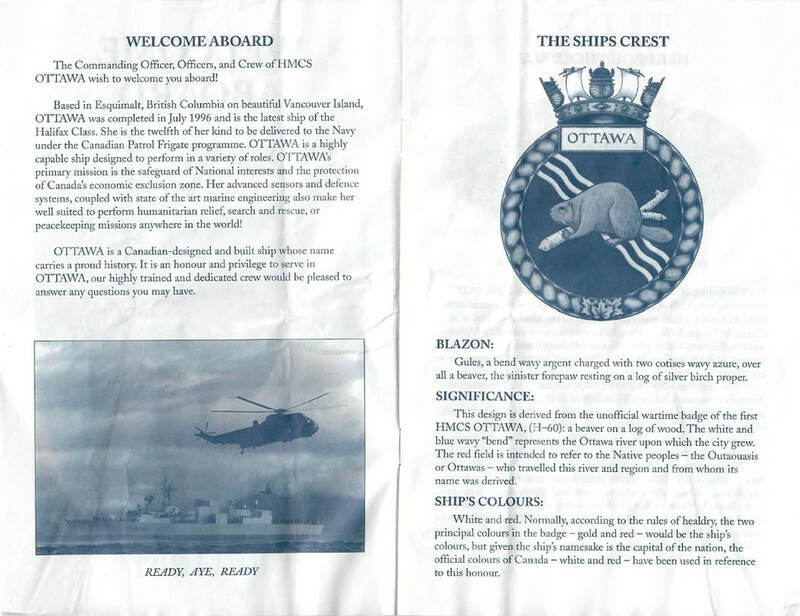 On June 16, 1998, Ottawa sailed to join the USS Abraham Lincoln’s Carrier Battle Group in the Adriatic, enforcing the United Nations trade embargo against Iraq. 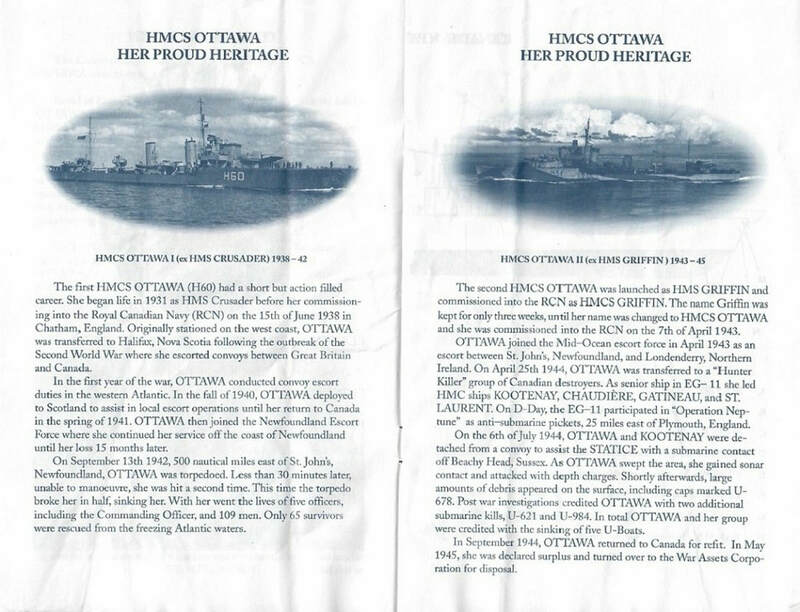 She was the first Canadian unit to be assigned to such a group. Ottawa continues to contribute to the defence of Canada and to the global Campaign against terrorism.